What’s the Point of an API? Trying to clear my head of code on a dog walk after a couple of days tinkering with the nomis API and I started to ponder what an API is good for. Chris Gutteridge and Alex Duttion’s open data excuses bingo card and Owen Boswarva’s Open Data Publishing Decision Tree both suggest that not having an API can be used as an excuse for not publishing a dataset as open data. So what is an API good for? 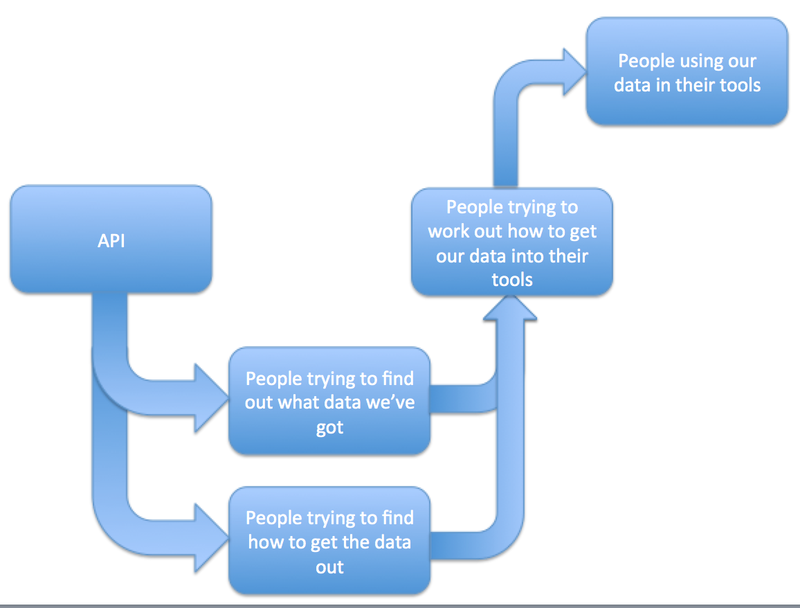 Even when the discovery part is done and you think you have a reasonable idea of how to call the API to get the data you want out of it, you’re still faced with the very real practical problem of how to actually get the data in to the analysis environment in a form that is workable on in that environment. Just because you publish standards based SDMX flavoured XML doesn’t mean anything to anybody if they haven’t got an “import from SDMX flavoured XML directly into some format I know how to work with” option. So what is an API good for, and where does it actually exist? I’m starting to think that for many users, if there isn’t some equivalent of an “import from X” option in the tool they are using or environment they’re working in, then the API-for-X is not really doing much of a useful job for them. 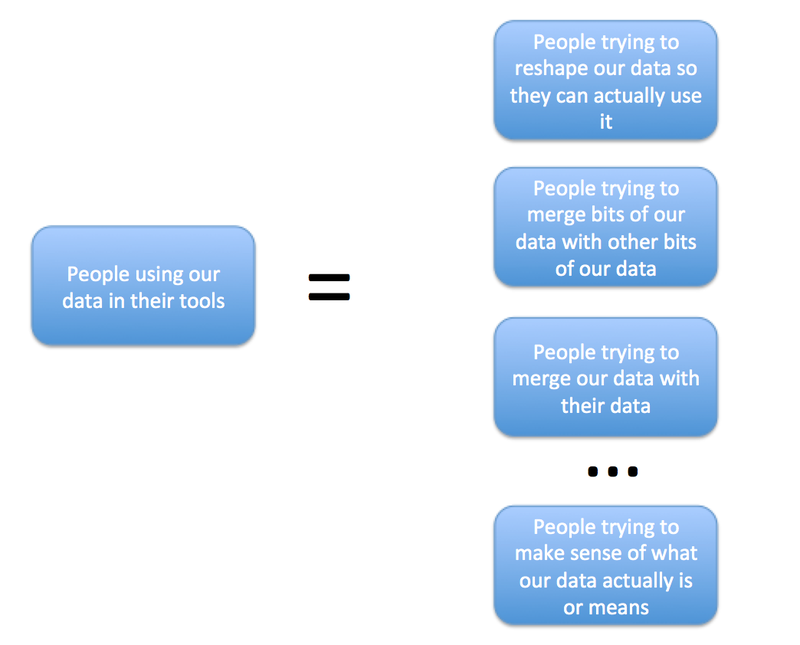 Also, if there isn’t a discovery tool they can use from the tool they’re using or environment they’re working in, then finding data from service X turns into another chore that takes them out of their analysis context and essentially means that the API-for-X is not really doing much of a useful job for them. What I tried to do in doodling the Python / pandas Remote Data Access Wrapper for the Nomis API for myself create some tools that would help me discover various datasets on the nomis platform from my working environment – an IPython notebook – and then fetch any data I wanted from the platform into that environment in a form in which I could immediately start working with it – which is to say, typically as a pandas dataframe. And note further – this does not mean things like a pandas Remote Data Access plugin or a CRAN package for R (such as the World Bank Development Indicators package or any of the other data/API packages referenced from the rOpenSci packages list should be seen as extensions of the API. At worst, they should be seen as projections of the API into user environments. At best, it is those packages that should be seen as the actual API. 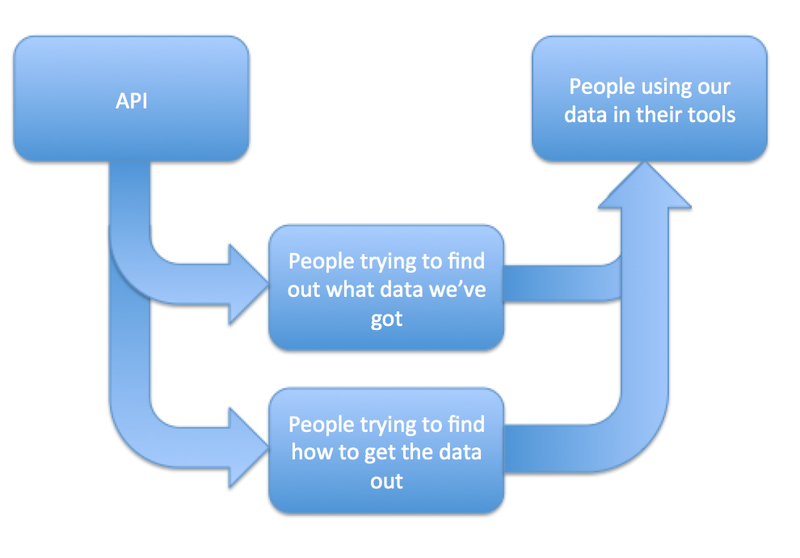 APIs for users – not programmers. That’s what I want from an API.